Ophrys holoserica is a slender plant with a height of 10 to 30 cm. It has a rosette of 2 to 6 leaves of a bluish-green colour. The loose inflorescence develops 2 to 12 rather large flowers with spreading sepals and small petals. 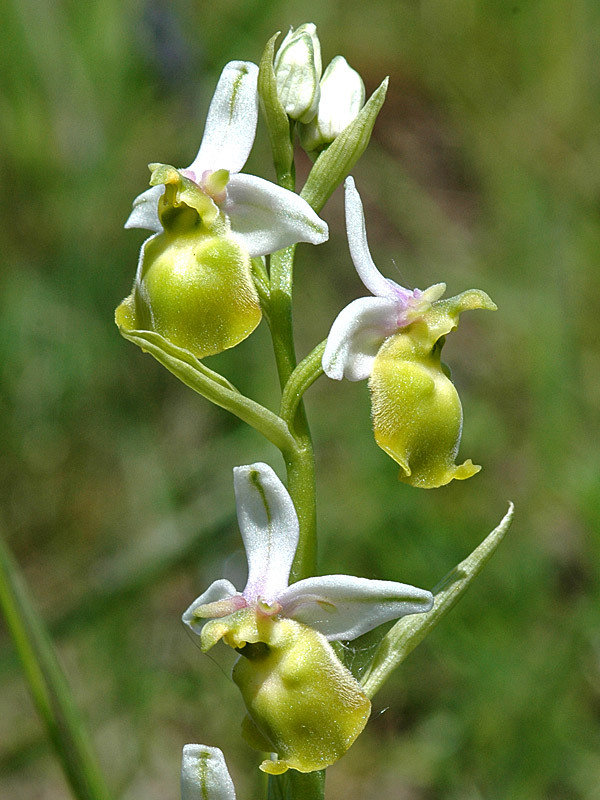 The broad labellum has prominent protuberances and a large appendage. The first scientific description was written by the Dutch botanist Nicolaas Laurens Burman (1706-1779) in his article Flora Corsica, published in Nova Acta Physico-Medica Academiae Caesareae Leopoldino-Carolinae Naturae Curiosorum (vol. 4, 1770). He called the plant Orchis holoserica. In 1967, the Swiss botanist Werner Rodolfo Greuter described it as Ophrys holoserica. In general, the flowers of Ophrys holoserica are vividly coloured. The sepals can be white, pink or purple. The petals are slightly darker. The labellum is brown and has a characteristic pattern. Of all the Ophrys species in Germany, holoserica has the greatest variability, notes the handbook “Die Orchideen Deutschlands” (2005). 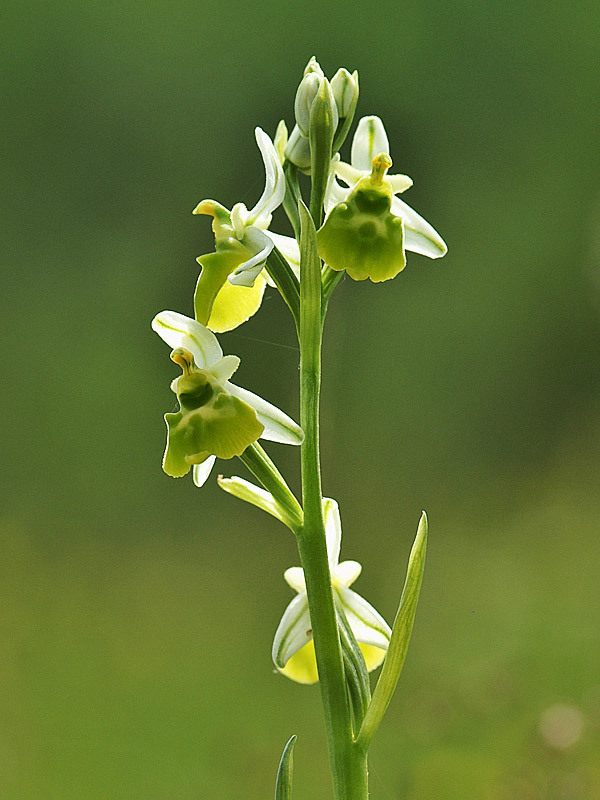 In the case of reduced or missing colour pigments, the flowers have a yellowish or light-green labellum. Ophrys holoserica grows on dry grassland or in forest clearings, it needs calcarious soil. Bloom is from May to June. The species can be found in Southern and Middle Europe, but also in Southern England.